Has Rick Gone Too Far? In The Walking Dead episode 416 “A” Rick Grimes does some stuff. And thangs. Horrible stuff and unspeakable thangs. But he also spends much of the episode flashing back to the peaceful farming life that he tried to establish with Hershel Greene, before the Governor came along and screwed that all up by cutting Hershel’s head off. So what do you think? 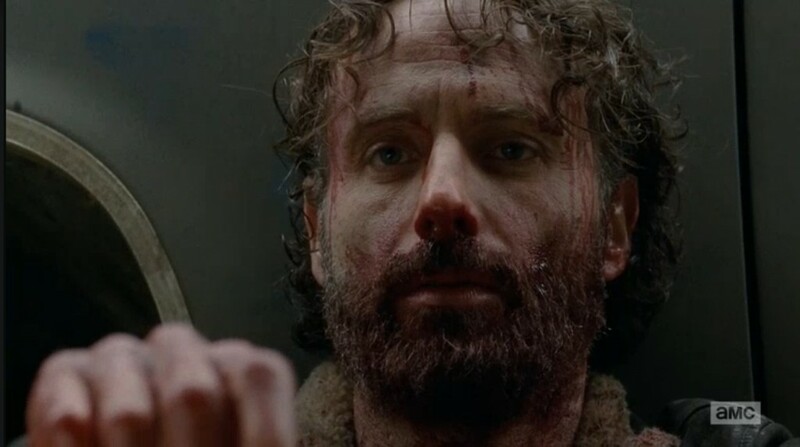 Has Rick had to become a monster to survive? Has he gone so far now that’s there’s no way back for him? Are his hopes and dreams of peace as dead as old Joe there?